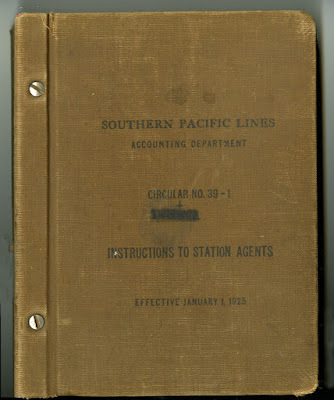 In Part 1 on this topic, I showed the appearance of the SP’s Circular 39-1, issued by the Accounting Department to all agents (you can read that post at this link: http://modelingthesp.blogspot.com/2016/11/sps-instructions-to-station-agents-part.html ). As I indicated in that post, the document does contain a great many items of minuscule detail (perhaps not so minuscule to an accountant), but nevertheless still contains a number of pieces of information which can definitely be used in understanding SP waybill practice. 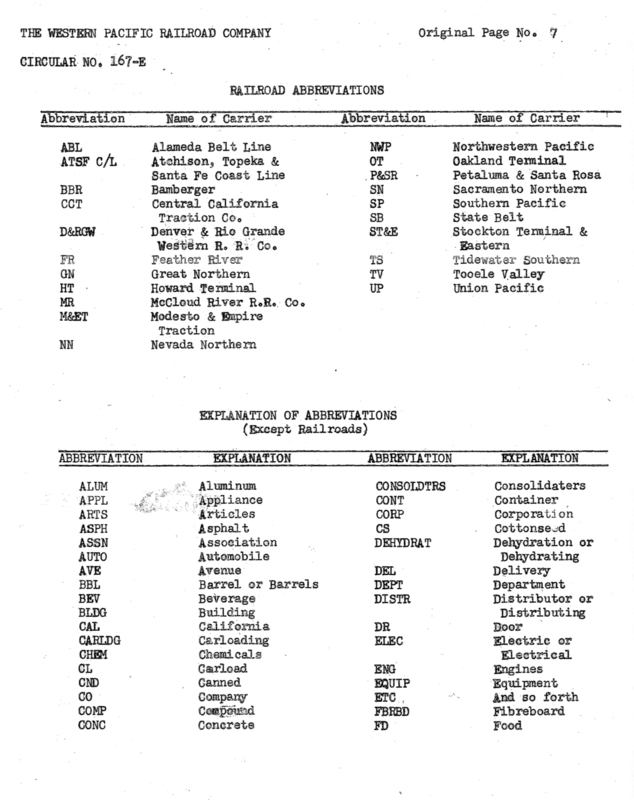 What you see here in rule 1066(a) and (b) explains the use of the abbreviations “TCFB” and “WWIB” in my waybills. 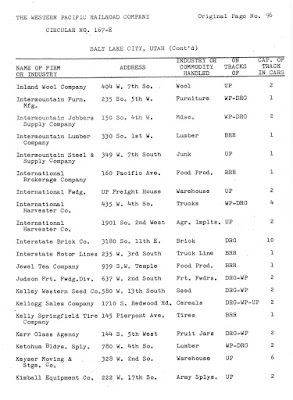 I don’t know how many Weighing and Inspection Bureaus (WIB) there may have been in the entire U.S. There was a Southern one (SWIB) headquartered in Atlanta, and I understand there was also an eastern (EWIB) and mid-western (MWIB) in existence, though I don’t know their geographic boundaries. I do know the WWIB was headquartered in Chicago and the TCFB in San Francisco. I explored the topic of weight agreements in an earlier article in The Dispatcher’s Office, back in April 2010; you can read a corrected version of that article on line, to fix the various errors which crept into the magazine version (it’s available at: http://modelingthesp.blogspot.com/2011/01/waybills-2.html ). I will repeat the gist of it here for convenience. We are all familiar with the idea that a loaded car is weighed on a scale, and the light weight of the car subtracted from the gross weight to obtain the net weight, which is the weight of the cargo. That can be done on a scale operated by the railroad, or it could be done by a shipper, if the shipper’s scale has been certified by a WIB. Sometimes the weight is only estimated, with the expectation that a scale weight will be determined later (more on the SP rule for that situation, farther down in this post). But many if not most car weights are determined through weight agreements. These greatly simplify stating a cargo weight. To illustrate how they work, imaging a shipper of floor wax, which ships its wax in gallon bottles. A carton of six of these, with packaging, weighs, let us say, 51 pounds, and obviously will be consistent for every carton. Then the shipper needs only to count the cartons put into the car to know the total loaded weight. If 840 cartons are loaded, the weight is 840 x 51 = 42,840 pounds. To be able to follow this process, the shipper obtains a weight agreement with the regional WIB, for each kind of container shipped. As shown in the above example, the agreement permits a count of containers loaded, multiplied by unit weight, to determine total cargo weight. This is indicated on the prototype waybill by the presence of the “agreement stamp” of the shipper, which gives the agreement ID number. Rule 1066 (d), above, requires the presence of this stamp, or an equivalent notation. 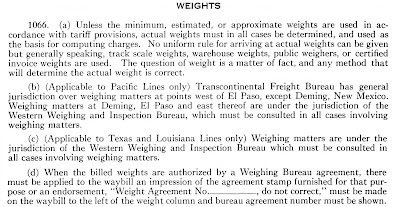 Following on to the above material from rule 1066, I show below an extract from rule 1068, part (d) only, relating to the direction of cars to be weighed at a subsequent location. 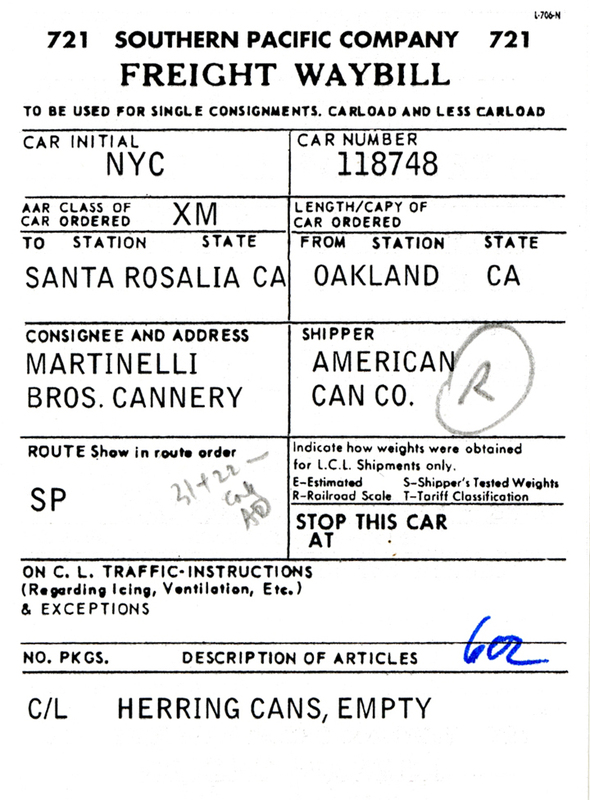 This notation, directing a car to weighed at a nearby location, can readily be added by hand to a waybill. For my layout locale, the nearest scale would be at San Luis Obispo. The notation, “shipper’s load, count and weight” can be abbreviated SLC&W, and any part of that might be noted instead, such as SL&C when there is a weight agreement. These extracts from the very interesting Circular 39-1 document address a number of things I am already doing with my waybills. But there is certainly more material in this document, and I will come back to those additional details from Circular 39-1, in a future post. This book is about two inches thick, give or take, and contains a really large amount of information about passenger ticketing and service. 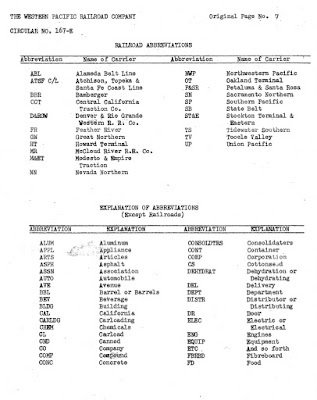 My own interests are in Section II, entitled “Instructions—Freight Accounts,” encompassing rules 1000 to 1999 (not all numbers were in use), especially the parts about waybilling, so I made a Xerox copy for myself of the entire freight section, totalling 176 pages, and returned the book to Chuck. Now I want to turn to what might one learn from this material. Obviously each person’s interests will dictate what is valuable here, and I will only describe the parts I wanted to make use of. Many parts of this book cover true minutiae of accounting and certainly sound like problems arising from quite unusual situations. But of course the main points of freight traffic handling are in there too. I have tried to extricate those parts I can use to make better SP waybills. 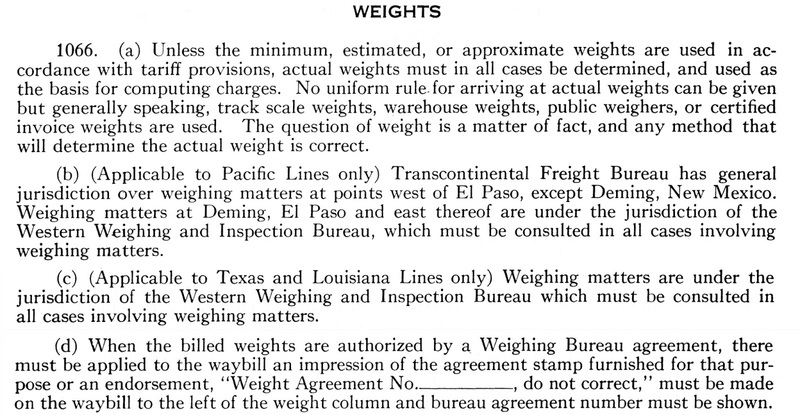 Incidentally, I should mention a point from the AAR book, Railway Accounting Rules, that the freight waybill and livestock waybill forms (here SP forms 700 and 707) were mandatory forms. The AAR identified perishable and preferred-movement forms as “recommendatory,” for use “by such roads as desire” such forms. At upper left is the month and date of printing this form (1-51) and the number printed at that time, 400M (400,000) copies. At upper right is the form number. In the case of the perishable bill, I have chosen to ignore the prototype size of the form 709AA, 17 inches long, and use it instead as a standard size bill. Shown below are both forms 709 and 709AA (though not presented here in pink; the color is accomplished when I print the bills on pink stock). As I’ve mentioned before, most of this lettering is scanned from prototype documents. These extracts from a much larger document show a couple of points I have already implemented into my layout waybill forms, and a few more I need to add. I will come back to those additions, and a few more details from Circular 39-1, in a future post. In my Electrical Wars series of posts, one subject has been old Shinohara turnouts, which over the years have become unreliable in power routing. By “routing,” I mean the point rail–stock rail contact which powers the frog with the correct polarity. These turnouts have a brass strip connecting the point rails at the throw bar, making the points a single unit electrically. There is also a phosphor bronze strip underneath that brass strip, that is very helpful electrically (when it is new), because it contacts the bottom of the stock rails, but as it oxidizes with time, becomes less and less helpful, and is almost impossible to clean. That was the reason for replacing the lead turnout into my yard at Shumala, as I discussed in a previous post in this series, at: http://modelingthesp.blogspot.com/2015/07/electrical-wars-part-7.html . A modern alternative is to separate the point rails electrically from each other, then electrically connect each to its adjoining stock rail. That ensures good electrical feed to the point rails as well as correct polarity. But now the frog must be isolated electrically from the points, and a means devised to feed correct polarity to the frog. There are several ways to do that. A purely electrical way is to use a Frog Juicer, made by Tam Valley Depot (see their line of these devices at: http://www.tamvalleydepot.com/support/whichfrogjuicer.html ). I started out by mentioning problems with old Shinohara turnouts. I decided to try rebuilding one. In a Shinohara turnout, and several other varieties of commercial turnouts, the point rails are connected to each other and to the frog, so those connections must all be changed. My friend Jim Providenza came over to demonstrate how all this can be done. The first step was to cut the rails at the location shown by the red line below, using a cut-off disk in a motor tool, then to remove the rails between that cut and the end of the point assembly (the rails indicated by the arrow just to the left of the line), and finally also to remove the point assembly itself (the arrow farther to the left). We started by making the cut shown by the red line. Once that is done, and the adjoining rails removed, the molded-on “spike heads” in the plastic tie strip need to be removed, so they won’t impede the new point rails. The photo below shows this process, which is quick and easy with a hobby knife. The next step is to remove the point assembly. In doing so, the brass strip that connects the two point rails (at the throwbar) is cut right next to the center rivet on both sides, and the entire throwbar pulled out. When this is done, the turnout now has all the removed parts gone, as shown below. The only parts saved from the old point assembly are two of the little stubs remaining from the connection of the points at the throwbar. Shown below are all the removed parts, with an arrow to two of the stubs just mentioned (the other two were already removed). These can be un-soldered from the old point rail, and will be re-soldered to the new point rails in the same location, at the new throwbar location. This completes the removal of unwanted parts and the turnout would now be ready to receive the installation of new points and throwbar. I will show the installation of those new parts in a following post. 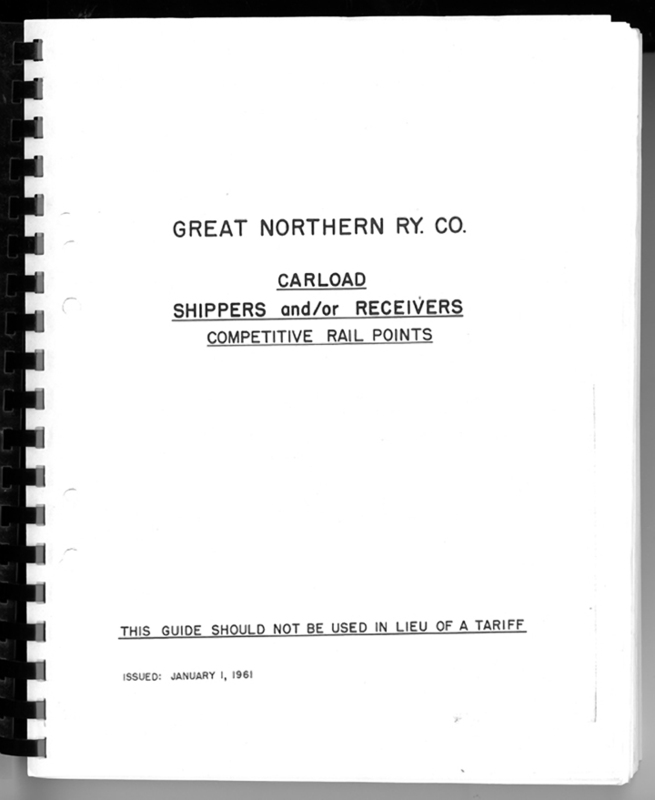 I have often discussed and described railroad-issued Shipper Guides or Shipper Directories in this blog (you can use those names as search terms in the search box to the right of this text to find them). Many of the ones I have previously described are sold as reprints by Ted Schnepf’s Rails Unlimited business (visit the selection at: http://railsunlimited.ribbonrail.com/Books/shippers.html ). In the present post I want to show a guide from another source. It belongs to and is located at the California State Railroad Museum or CSRM. I wrote about CSRM and the library in an earlier post (see it here: http://modelingthesp.blogspot.com/2014/06/visiting-library-california-state.html ). I don’t recall the cost of this Xerox copy of the original, but it was on the basis of a per-page copying charge. Contacting CSRM by phone or email should yield the cost; the document is 176 pages altogether. 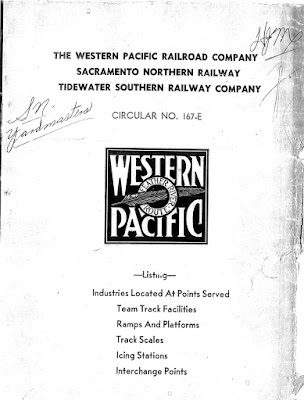 Shown below is the front page of the guide, identified as Western Pacific Circular 167-E (and that designation is how you can identify it to order a copy from CSRM). 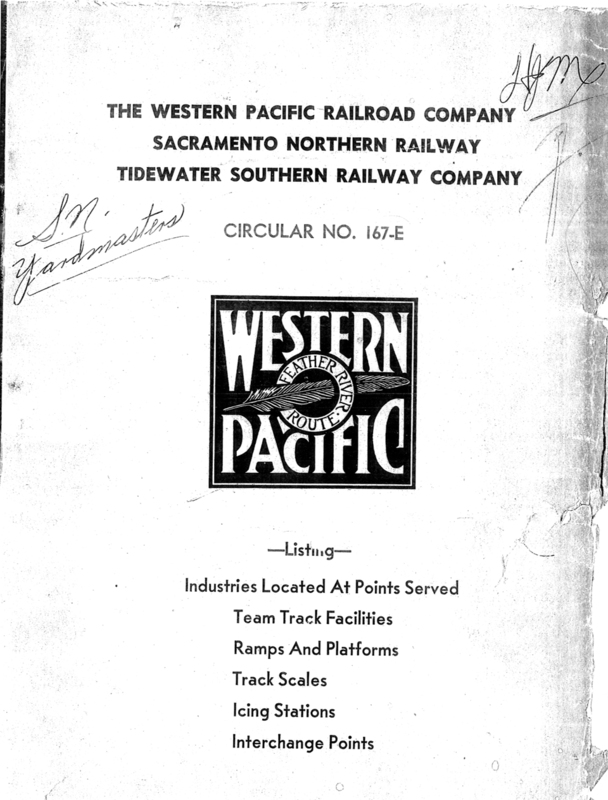 Note that the guide also includes WP subsidiaries Sacramento Northern and Tidewater Southern. An important part of any guide like this is a key to the abbreviations used. Some may be obvious, but there are usually at least a few obscure ones. Like most guides, this one includes pages to present such a key. Here’s the railroad list, and the beginning of the additional list. My second example is a page for Salt Lake City, obviously with many railroads identified that are different from the Oakland page. This WP document, like many other Shipper Guides, is a great resource if you want to make waybills with prototype shippers and receivers of cargoes, I have already been using it for awhile, and expect to continue to depend on it as a resource. The current (October 2016) issue of the OpSIG magazine, The Dispatcher’s Office, or DO, contains an eight-page article by me, about my waybill system. 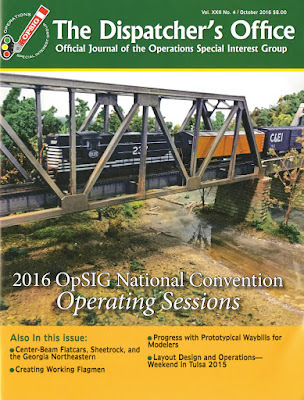 (“OpSIG” is the Operations Special Interest Group or SIG of the National Model Railroad Association, NMRA.) I wrote this article to update and clarify waybill design and use, in the way I currently practice these matters. It contains full citations of prior publications on the development of more realistic model waybills, both by me and by others. Here is the cover of this issue. As you can see, it is Issue 4 of Volume 22. 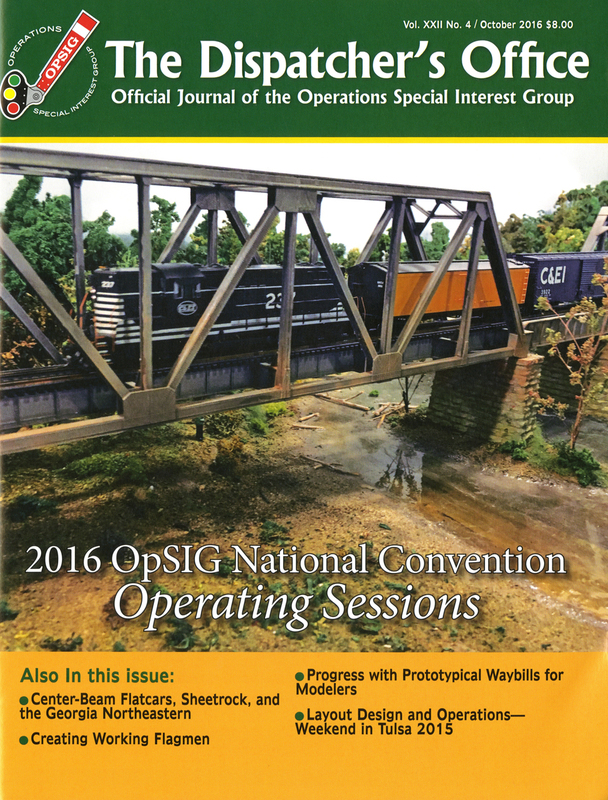 Like some other issues of the magazine, back issues can be purchased directly from OpSIG via their website. Here is the order form information: http://www.opsig.org/doff/BackIssueOrderForm%2010-2015.pdf . The order form has not yet been updated for 2016, but you can send them email to inquire. My article begins on page 26 with this opening page. That’s a prototype Southern Pacific waybill that you see on this first page. The title may sound like just a brief update, but in fact it describes well the content and intent of the article. I was able to incorporate several new aspects of how I use my waybills. My previous two articles in DO got garbled during magazine production, and I was obliged to make corrected copies available on the web. That didn’t happen this time, although one of the Figures did get omitted. That would be okay as an editorial decision, but unfortunately the references to that figure in the text did not get removed, and also, of course, the remaining figure numbers were off, relative to a count of what is in the article. That may have confused some readers. I show the missing figure below, obviously not one of great import (it was intended to be Figure 13), but for anyone reading the article and wondering what Fig. 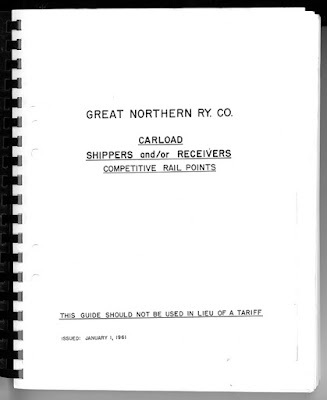 13 was, this is it, the cover for a reprint of the Great Northern shipper guide. I enjoyed bringing the description of my waybill usage up to date, and also enjoyed writing something for the use of OpSIG, an organization I belong to and happily support. You may find something of interest in this article, if you haven’t already seen it. 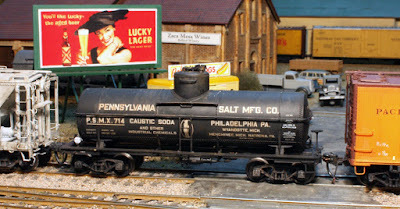 In the previous post, Part 14 of this series about my selection of model cars of various types to create the model freight car fleet I need for my layout, I added to earlier comments on tank cars (the post can be found at this link: http://modelingthesp.blogspot.com/2016/11/choosing-model-car-fleet-part-14-more.html ). I had intended to expand on the comments in Part 14, and have already received an email question about “chemical” tank cars. I will say more on that topic in the present post, along with some additional details. This is a California Dispatch Line (CDLX) car for liquid ammonia, built in 1948. The white bonnet color had been recommended for LPG cars to assist in rapid return of them to shippers, but some owners of pressure cars chose to paint all bonnets of such cars white. 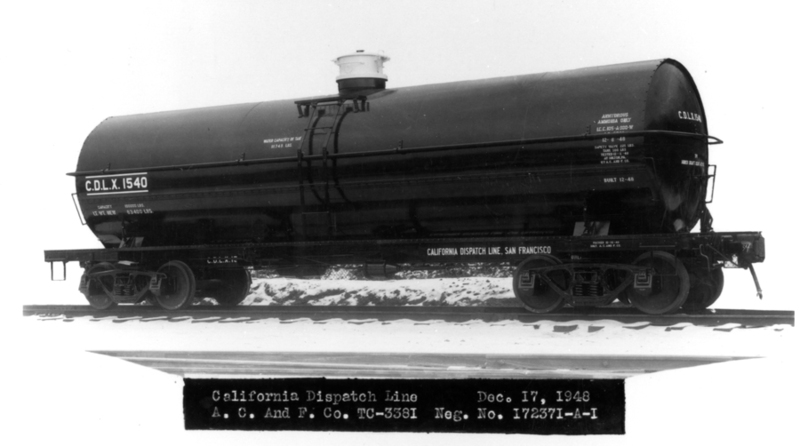 This size of ICC 105A cars could readily carry either cargo seasonally (with appropriate gaskets and valves), and the CDLX fleet did carry both LPG and ammonia. A few years ago, Atlas produced a model of cars like this, and I use one of their CDLX models to deliver propane to my Associated Oil Company “Flying A” bulk oil dealer. Here is a photo of that model spotted at Associated’s unloading spot. The Empty placard shows the car is ready for pickup. Before leaving the topic of “chemical” cars, I want to emphasize that chemicals could be and were handled in plain-Jane ICC-103 cars, Type TM, when suitable. 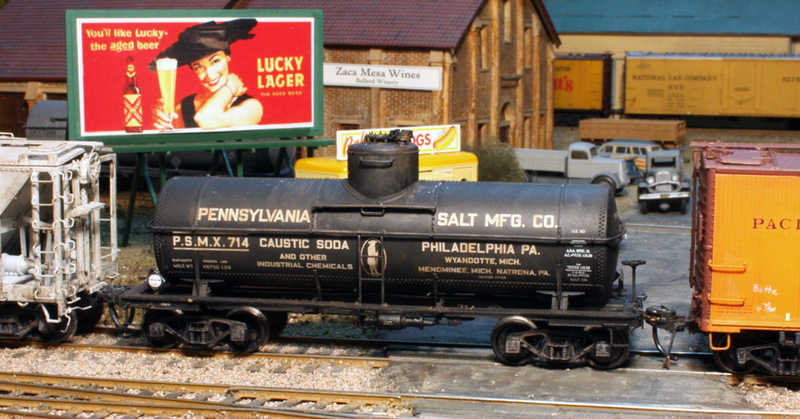 An example is this Penn Salt car (an InterMountain 8000-gallon car with a rather elderly paint scheme), which carries a placard for Corrosive cargo. The waybill shows it is carrying concentrated caustic soda, a base rather than an acid, but quite corrosive all the same. The placard warning is essential. 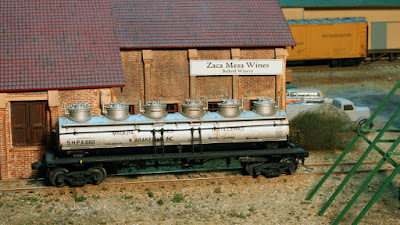 Another tank car type popular with modelers, but not mentioned previously, is the wine tank car. I have two wine shippers on my layout, so these are definitely relevant for me. The classic type to many modelers is the six-compartment car, such as the Precision Scale brass version below. It’s spotted at the Zaca Mesa winery in my layout town of Ballard. For those not familiar with wine as an industrial commodity, I have written a post on exactly that subject (see it at: http://modelingthesp.blogspot.com/2012/02/wine-as-industrial-commodity.html ). There is no placard, as wine is an unregulated commodity. Even the car class is non-ICC, namely AAR 203, restricted to cargoes like wine. 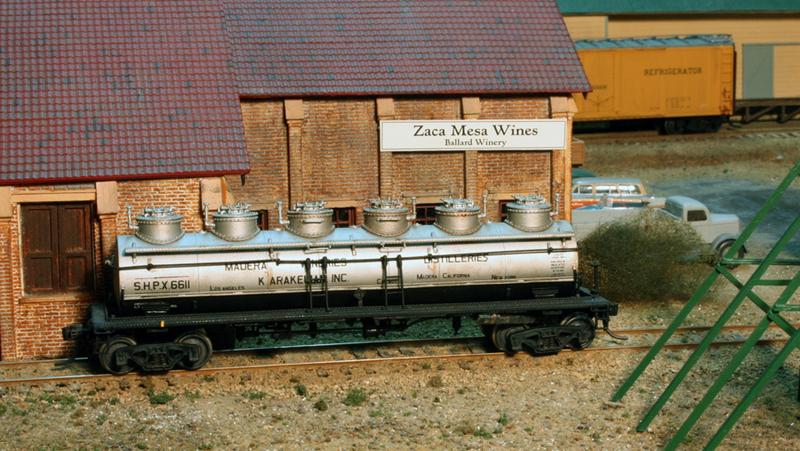 As were the great majority of wine tank cars, this is a 6000-gallon nominal size, about 1000 gallons per compartment. But many wine cars were of one, three or four compartments, so the six-compartment version is only one type of wine car. The above discussion refers in a few places to placards, and I know this topic is of interest to many modelers, including me. I have written about the use of hazard placards on tank cars, both on the prototype and on model cars, in previous posts. I began by summarizing the history of warning placards on the prototype (up to the transition era); see that post at the following link: http://modelingthesp.blogspot.com/2012/03/tank-car-placards-prototype.html . 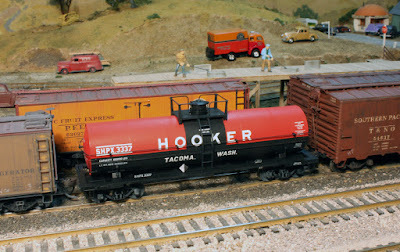 I followed up on that background with a description of how I model placards in HO scale for my tank car fleet (find it at: http://modelingthesp.blogspot.com/2012/12/tank-car-placards-more-on-modeling.html ). I would refer anyone with curiosity about producing their own placards to consult the second of the two posts just cited. 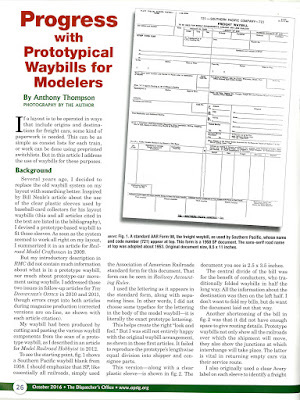 You can also read about model placards in my article in the March 2016 issue of Model Railroad Hobbyist (you can download any issue any time, for free, at their website, www.mrhmag.com ). 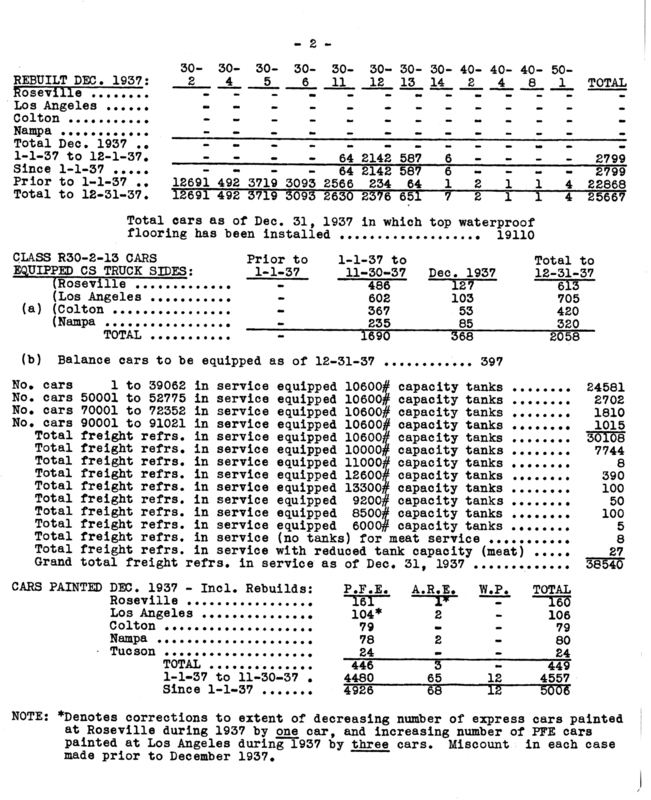 To conclude, selection and operation of model tank cars can be a complex topic, but can also be quite interesting and satisfying when you do the research to “get it right.” I continue to strive in that direction with my tank car fleet. I provided a full discussion of my model car fleet objectives and choices in a summary post, which lists all the original ten posts; it can be found at: http://modelingthesp.blogspot.com/2013/02/keeping-model-car-fleet-under-control.html . The present post is an extension of the earlier post on the tank car part of the fleet, which was in the list just cited (the tank car post is at this link: http://modelingthesp.blogspot.com/2011/05/choosing-model-car-fleet-9-tank-cars.html ). That post does give a good summary of my goals and needs for tank cars in my operating scheme. The purpose of the present post is to show examples of some of the cars in use, which is conspicuously missing from that previous post. I will begin with oil companies. 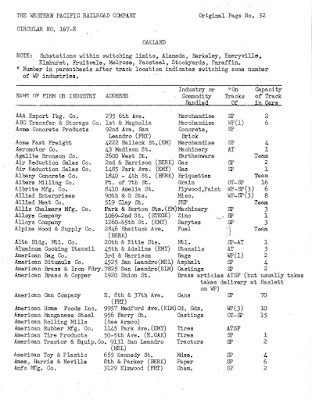 For any part of the country, the descendants of the Standard Oil trust, broken up in 1911, continued to use the services of the former tank car segment of that trust, Union Tank Line, reporting mark UTLX. 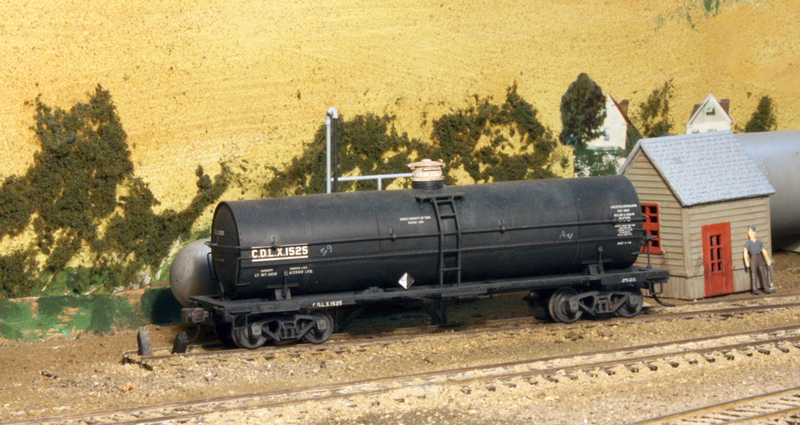 I have a Standard of California bulk oil dealer on my layout, so I use those cars too. 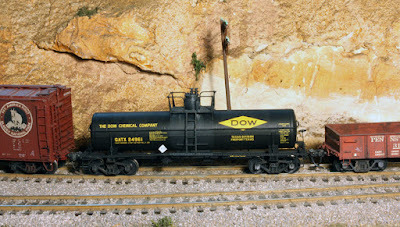 (The dealership itself was shown in this previous post: http://modelingthesp.blogspot.com/2015/09/modeling-really-minimal-oil-dealership.html .) Here is one of the models (InterMountain) I have in that service. The distinctive yellow lettering used by UTL stands out. The car’s placards show that it is an empty car. As I have often mentioned, one can also take advantage of oil company cars to emphasize the region being modeled, by choosing oil companies of the region. A good Western example is Union Oil, for which I also have a dealer on my layout. The tank car is an InterMountain model, and the dealership is derived from an old Chooch kit. The two cars shown above are AAR Type TM cars, ICC Class 103, which is a suitable “general service” tank car and widely used for petroleum products and less-dangerous chemicals. 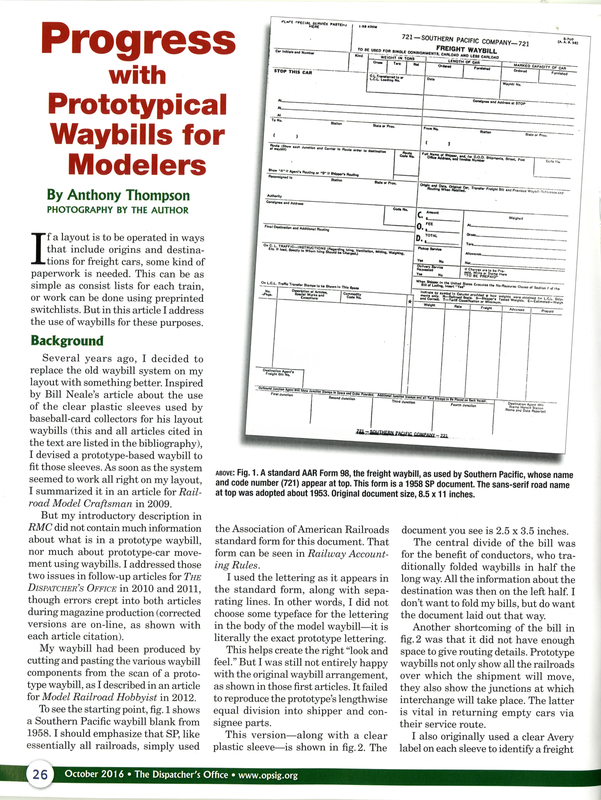 For more on the AAR and ICC classifications, see my article in Model Railroad Hobbyist in the issue for February 2016 (you can download any issue of MRH for free at any time from their website, www.mrhmag.com ). Another relatively simple tank car type is designed to carry cargoes which must be prevented from leaking, such as acids. These cars have no bottom outlet and are AAR Type TA (the “A” originally stood for “acid.” but now means any car without bottom outlet). Their domes have different kinds of safety outlets and are arranged so the cargo can be pumped out of the car instead of unloading through a bottom outlet by gravity. Tangent Scale Models recently offered excellent examples of welded cars like this. One of the ones in service on my layout is shown below. It carries an “acid” placard, indicating it is loaded. More challenging or more dangerous cargoes may be handled in insulated tank cars or high-pressure tank cars, sometimes known as “chemical” tank cars (though in fact chemicals are merely handled in the cars which are suitable to carry them). 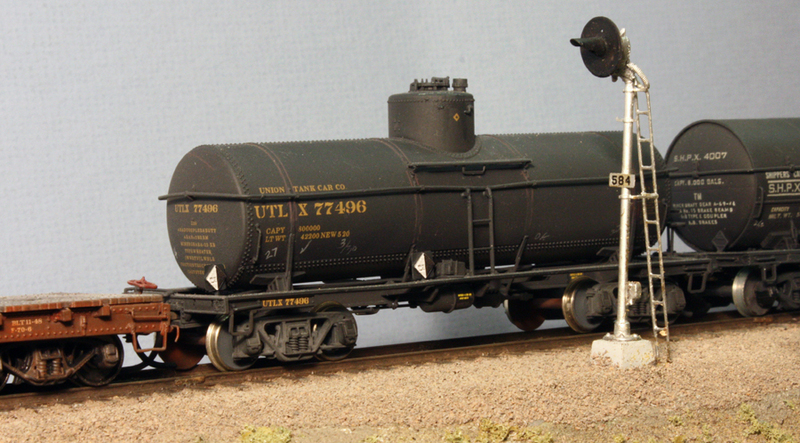 Modelers are understandably fond of “chemical” tank cars, many of which indeed have attractive paint schemes. But a great majority of such cars were in fact black or gray. 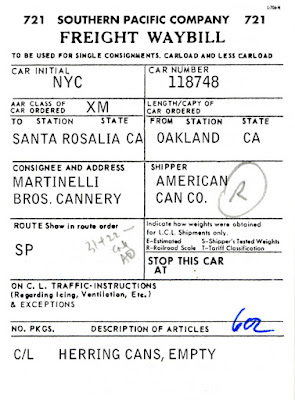 Here is an example, an ICC 104 insulated and jacketed car, SHPX 4007, doubtless leased to a shipper needing to ship in such a car, but whose emblem has not been painted on the car. That might mean the car is in pool service, or that the shipper doesn’t feel the need to advertise. The model is an Overland brass car. But as I said, some of these cars did indeed have colorful paint schemes and, sometimes, billboard lettering to boot. One example is this ICC 105A chlorine car, an Atlas model. It does have a platform around its valve bonnet (not an expansion dome, on a high-pressure car like this), but the presence or absence of platforms has nothing to do with whether the car is a “chemical” car or not. Installation of a platform was among the many choices open to a buyer of tank cars, and it was entirely up to them if they needed or wanted a platform. I should also reiterate my comments, included in several previous posts, about how oversize is the Athearn valve bonnet and platform on their “chemical” tank car (for example: http://modelingthesp.blogspot.com/2014/05/upgrading-tank-car-dome-platforms.html ). As has been stated by me and others, the Athearn bonnet and platform are close to S scale, not HO scale, and are even slightly oversize for S scale. Here is a view of the correctly-sized bonnet and platform on the Atlas car just shown, compared to a stock Athearn model behind it. I emphasized in my two Model Railroad Hobbyist articles on tank cars (the February 2016 one mentioned above, which was about the prototype, and the March 2016 article, which covered modeling of tank cars), that understanding the prototype classes and their use is essential if these cars are to be modeled accurately. I have tried to follow that advice with the tank cars in use on my layout. In two previous posts, I raised and commented on the issue of PFE car appearance at particular periods, with emphasis on the car washing which PFE conducted into the 1950s. (You can see the prior post at this link: http://modelingthesp.blogspot.com/2016/11/appearance-of-pfe-reefers-part-2.html .) I also described, in the post just cited, the PFE shop reports, PFE Form 865, which document in amazing detail the activity of each PFE shop as well as the progress of various programs underway in particular years. In the present post I want to show more of that information. First, here are several columns of the data, collected from forms 865. The columns are not in any particular order, but show not only the size of the complete fleet, but also the total rebuilds completed in the years when Form 865 reported those totals, along with the number of cars painted, right column. This number is independent of the number of cars washed, though one might think that a car about to be painted would be washed first. If so, that washing is not included in the “washed” column. Another point to be made in passing is that the large numbers of cars painted during 1929–1934 represent work immediately after the standard color for car sides was changed from yellow to light orange, The total number of cars painted during those years exceeds the size of the fleet, thus the conclusion that all previously yellow cars would have been orange after 1934. There are other interesting details in the table, but I recognize that only data geeks like me tend to enjoy masses of numbers like this, so I have plotted some parts of the data set to make them easier to appreciate. 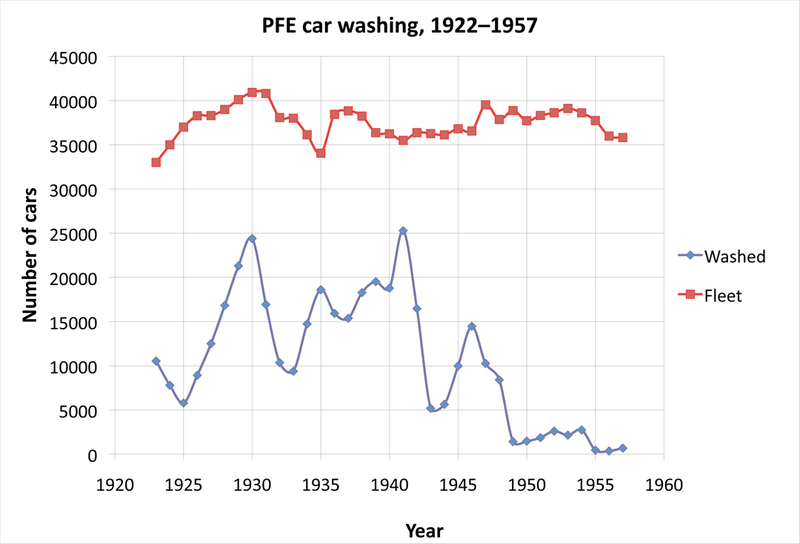 The first graph shows the data on total number of cars washed, by year (the blue line), compared to the total size of the entire PFE fleet (red line) in each year. The lines connecting the data points simply follow the data, and do not represent any kind of fit or function. 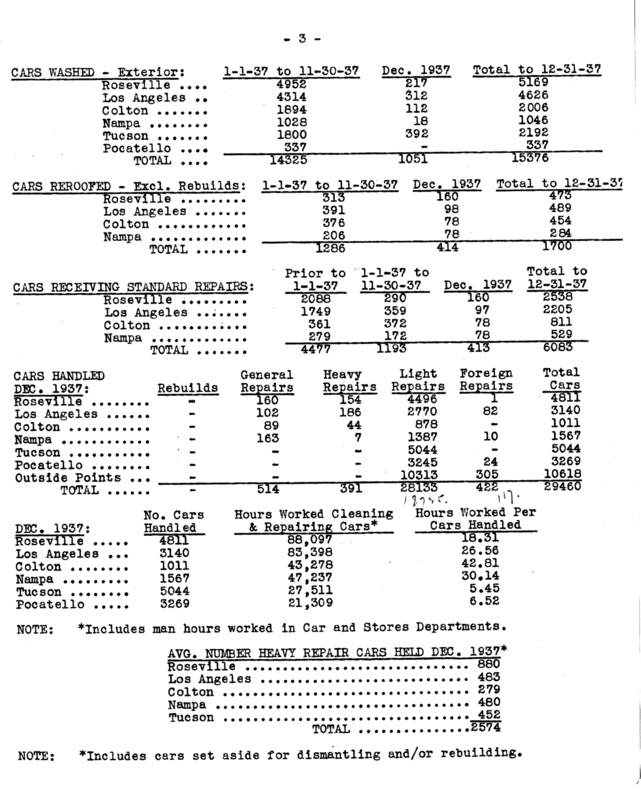 Note here that in two years, 1930 and 1941, around 25,000 cars were washed, out of fleet of 36,000 to 40,000 cars. That raises the question, how big are the percentages washed by year? 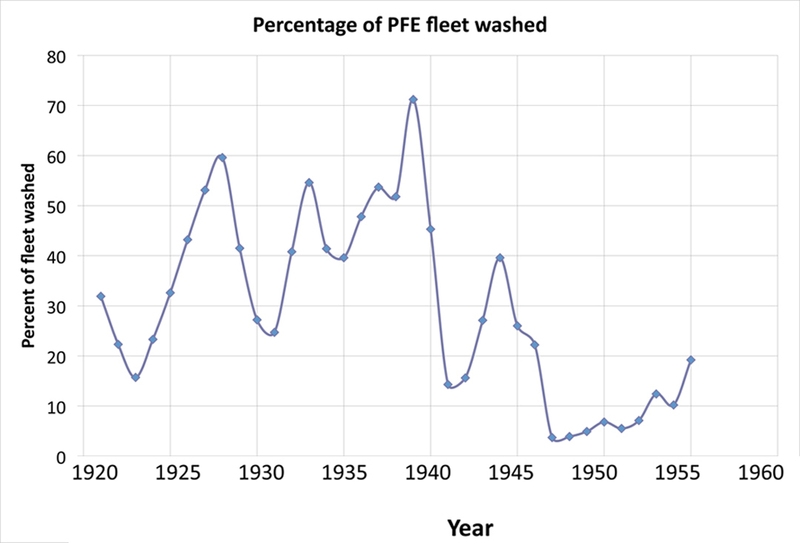 The percentage of cars washed, that is, the number washed divided by the size of the whole fleet, times 100, is thus interesting, and below is that information in graphical form. (You can click to enlarge the image if you like.) These are the same data as the blue line in the graph above, just replotted as percentage of the red data above. 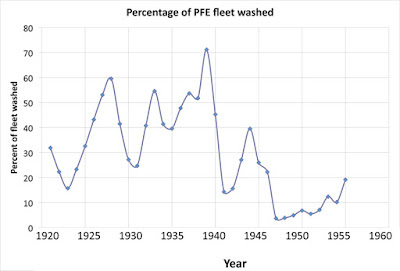 These data are, I think, dramatic and certainly confirm the comment that PFE washed a lot of cars until 1949, and even after that, were washing 10 to 20 percent of the fleet. What happened then? As Earl Hopkins reported it to me, a request for funds to build mechanical car washers, instead of the hand washing then in practice, was refused. For more on that, see the PFE book, page 159 (Pacific Fruit Express, 2nd edition, Thompson, Church and Jones, Signature Press, 2000). I do have some older paint schemes among the PFE car fleet on my layout, but the older ones are by no means dirtier than newer ones (I do try to make older, clean paint schemes look faded). That choice, of course, was made because the information existed. We happen to have a lot of relevant data in the case of PFE, so we can do a better job of historical accuracy than for many car owners. In the previous post about Pacific Fruit Express cars, I showed a couple of examples of PFE cars, both clean and dirty (you can find that post at this link: http://modelingthesp.blogspot.com/2016/10/appearance-of-pfe-refrigerator-cars.html ). I promised in that post to show some data on PFE painting and washing, which is the topic of the present post. When I interviewed Earl Hopkins, retired Chief Mechanical Officer for PFE, he described for me the extensive program of car washing which PFE maintained for many years. He explained that PFE management strongly believed that because the cars carried food, they should be as clean as practical. I asked how the cars were washed, and he answered that it was like washing the elephants at the circus: buckets, hoses, and long-handled brushes, all by hand. Usually only sides were washed, sometimes ends, but not roofs. As it happens, there are data on this washing. Each PFE shop reported monthly on all the work they had done that month. These records survive at the California State Railroad Museum, cataloged under MS 49, Boxes 5 and 6. These boxes contain 12 monthly reports from each shop for every year from 1920 until the end of 1957, with the most valuable reports each year being the one for December, because it contained the accumulated data for the entire preceding year. 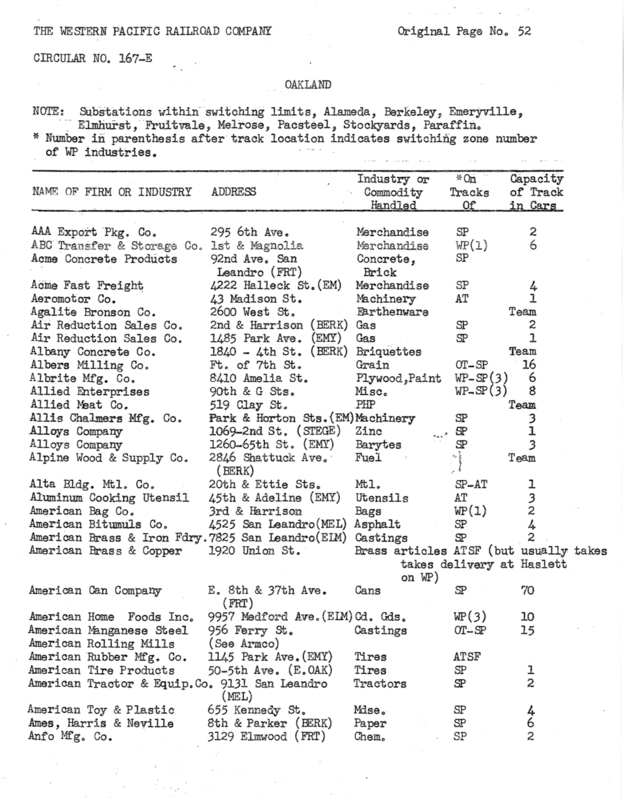 I was able to review these shop reports when writing the PFE book (Pacific Fruit Express, 2nd edition, Thompson, Church and Jones, Signature Press, 2000), but there was only space in the book to report summary data in a few places. 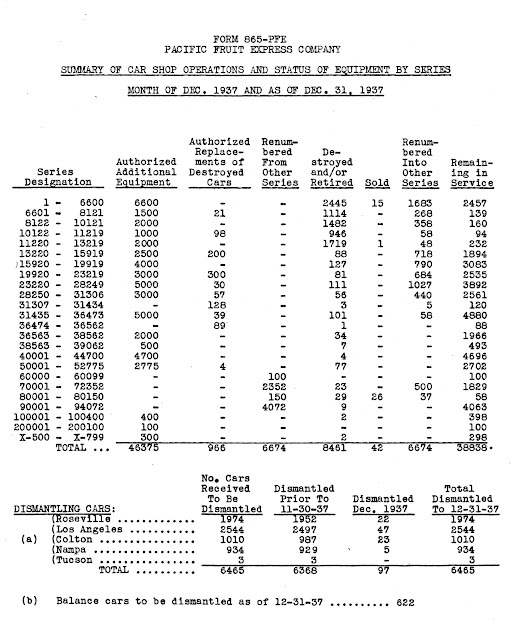 I will show here one such December report, for 1937, chosen essentially at random. It’s three pages, a common size, though some years it went to four pages. 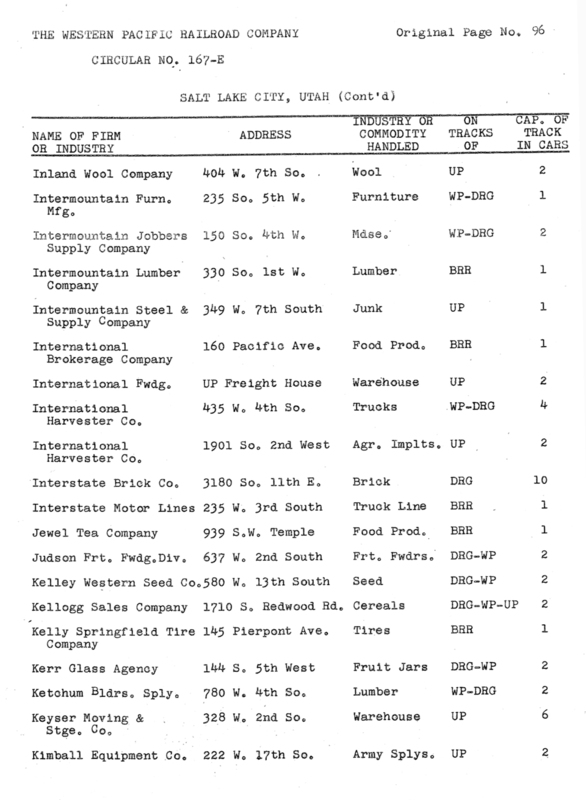 Shown below is page 1 of the report. 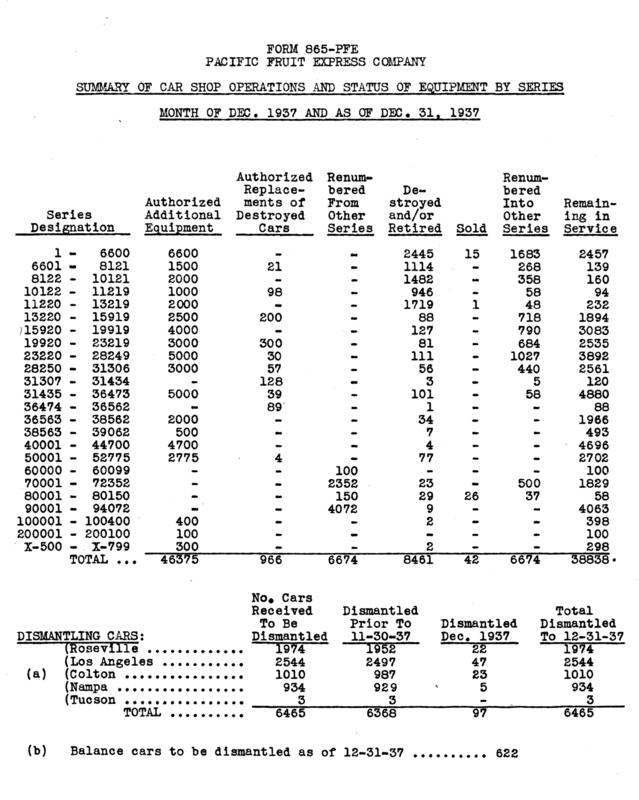 It begins with the entire fleet status, along with info on destroyed or retired cars, cars sold and renumbered, etc., culminating in the PFE calculation of the total car fleet at that moment, lower right corner of that data table. Below that is the dismantling report. A dismantling report was only included in a few eras, particularly in the Depression when car demand was low and the oldest cars were dismantled rather than rebuilt. Note that these dismantling reports are by shop. The second page contains several interesting reports. At the top is rebuilding, though it can be seen that December was not an active month. Still, in the course of 1937, 2142 cars of Class R-30-12 and 587 cars of Class R-30-13 had been rebuilt. There was a program at the time of replacing arch-bar trucks with cast-steel trucks, and typical of any such PFE shop program, progress was reported in this format. 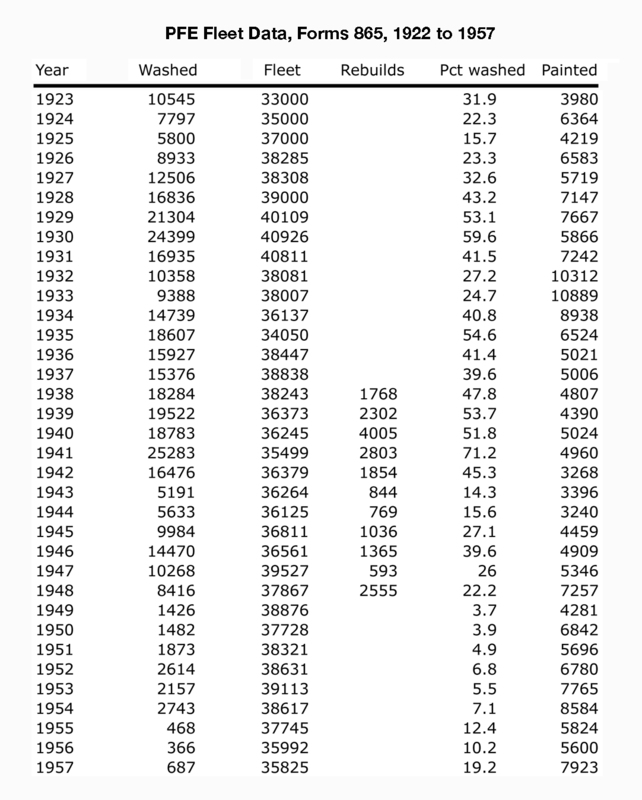 Part (b) of that table is also interesting, showing the number of cars with varying capacity of ice tanks (bunkers). Then at the bottom is a table of cars painted, showing 5006 cars painted in 1937. This is a fairly typical total, about 13 percent of the total car fleet, and that percentage implies repainting about every 8 years. Lastly, page 3 shows cars washed, at the top; cars re-roofed (this in the days of outside metal roofs, which required periodic replacement), then a tabulation of all the car repairs made, and the man-hours needed to do the work. The amount of car washing shown here for 1937 is not an unusual proportion of the fleet, but note that it is fully 40 percent of the entire fleet. This of course is why I often repeat my comment, that you cannot set the amount of weathering on a PFE model car by the age of its paint scheme. All that car washing meant that many cars were clean, even with old paint. The sheer volume of information in this single report can only suggest the richness of the entire PFE shop record, covering 38 years of reports like this. 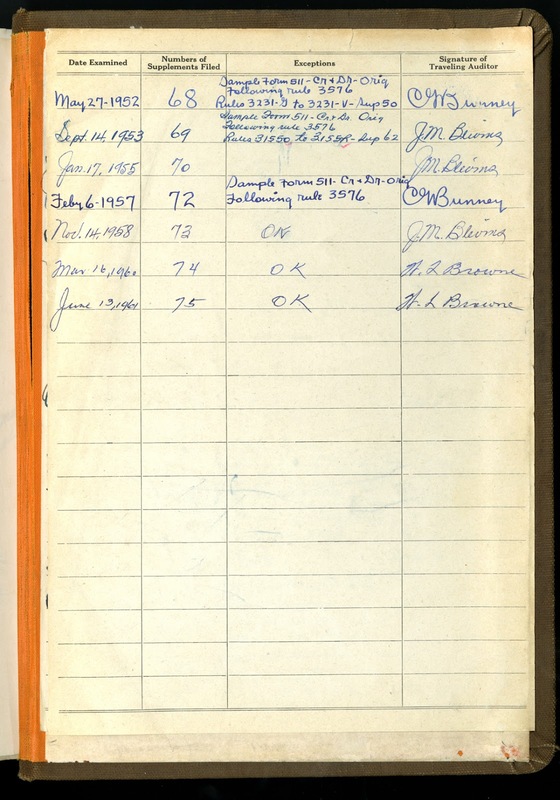 I would also observe that the report is very clearly and compactly organized and presented, but in the days of typewriter preparation, this kind of result was the product of considerable skill and experience. It was also, of course, the product of a considerable amount of clerical work to collect and organize all these data across five shops. I will present graphical and tabular summaries to extend this kind of PFE information over the whole 38-year span, in a future post. In this post, I discuss the weight of open-top car loads. I don’t mean added weight for modeling purposes, to bring a removable load up to a desired total car weight of the model. (I discussed that kind of weight addition in a recent post, which is at: http://modelingthesp.blogspot.com/2016/10/open-car-loads-bulk-materials-part-2.html . Instead, I mean recognizing the weight that a load would have as a prototype load. I have seen some model loads which clearly exceeded the weight capacity of the cars in which contained them. I mentioned that aspect with respect to my own modeling of chromite ore, and included information about the density of that ore (see that post at this link: http://modelingthesp.blogspot.com/2016/10/modeling-mining-in-your-locale.html ). 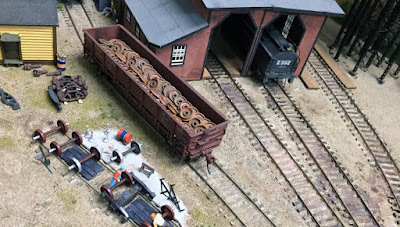 One good example of a load requiring care with weight awareness is the load of steel bar I purchased at the 2016 Chicagoland RPM meet, just concluded (meeting summary at: http://modelingthesp.blogspot.com/2016/10/rpm-chicagoland-2016.html ). The load was sold by Mark Caposieno, and here is a photo of it. I like the look of this load, because the bar ends look like hot-sheared bar stock, and are color coded on the end to designate whatever alloy they are, something you can see in the supply area of any machine shop. There are 16 bars in this load, and the bars are about 23 or 23.5 scale feet long. Their diameter, in HO scale, is 11.3 inches. It’s then a simple matter to compute the volume, in HO scale, of each bar at about 16 cubic feet, which makes the entire load about 261 cubic feet. Steel weighs 480 pounds per cubic foot, so this load, though compact, would weigh over 126,000 pounds. This is close to the load limit on a 50-ton gondola, so even a 52-foot car of that capacity could only carry one of these loads. In many cases, a railroad would probably prefer to put this load in a 70-ton gondola if available. 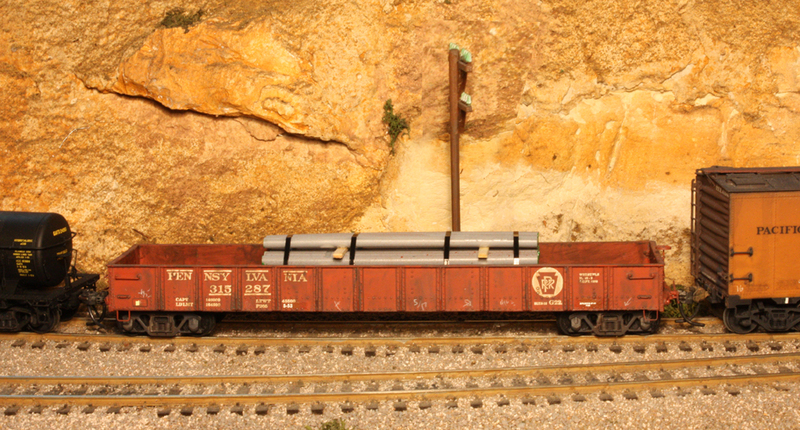 Here is this load in a 70-ton gondola, a Pennsylvania G22 gondola, in a mainline train on my layout. I have sometimes been asked where one gets data like weights per cubic foot (of anything). Just Google it, and Wikipedia or other source will deliver. This load is a single layer of wheels, which fits into a 40-foot gondola. It contains 53 wheels. which amounts to 45,000 pounds. That is well below the capacity of a 50-ton gondola, but a load I saw once on someone’s layout, of a gondola filled to the top with wheels, would considerably exceed the capacity of a prototype car. Shown below is this load on my layout, arriving at the shop attached to the roundhouse in Shumala. The fairly uniform rust color and lack of dark, oily dirt on wheel faces means that these are new wheels to be used as replacements. One might object that after all, these are model loads and do not themselves weigh very much in most cases. But I want loads in my open-top cars to reflect the same realities as anything else on the layout. Model loads should reflect the look and size that a real load would have to have.